The final 'Art Walk Alpena' takes place on Friday throughout the downtown. 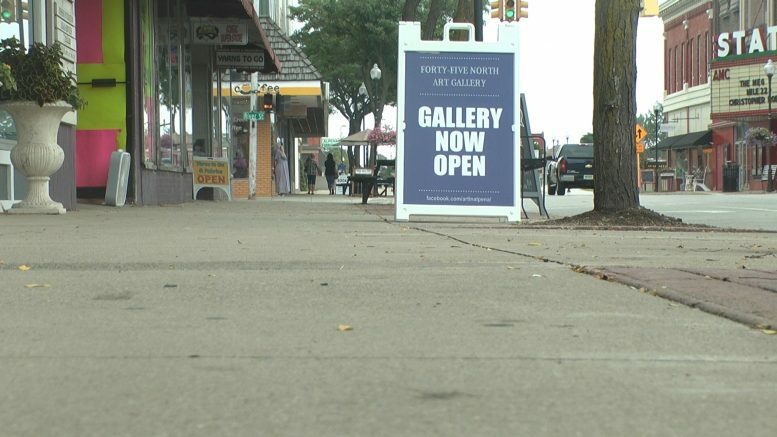 Alpena — Another summer with the Alpena Art Walks comes to a close Friday night as folks will take to the downtown to experience the art and culture of the city. The Alpena Art Walks are in their second year, providing Art Galleries an opportunity to extend hours for people to enjoy the atmosphere. Galleries also offer snacks, giveaways, raffles, and live artist demonstrations. Art walks happen on the last Friday of each month from May until August. This year feature student art work in the Center Building. The plan is to expand that type of work to more areas in the future. The final Art Walk will feature the opening of a brand new art gallery in the downtown. Folks can check Rubedo Art Gallery off of Sable St. The owner and main artist of the gallery is Brian Schorn, a professional and mixed-media artist. Schorn, an Alpena native, has come back to his home after years of traveling and showing art all over the country. With the season coming to a close, the downtown already has some ideas for future art-themed events. A full list of the participating galleries is provided below. The Alpena Art Walk will take place from 5:00 p.m. until 8:00 p.m.
For more information, visit Alpena Art Walks on Facebook by clicking here. You can also 989-356-6422. 7 New Inductees Into The Alpena Sports Hall Of Fame!